You might think that this home is located in Morocco but it isn’t. This exotic style house is the Melbourne (Australia) home of Giovanni Mangano and Tory Flanigan. On the walls Giovanni has used a mix of white paints to create a lime-washed effect. 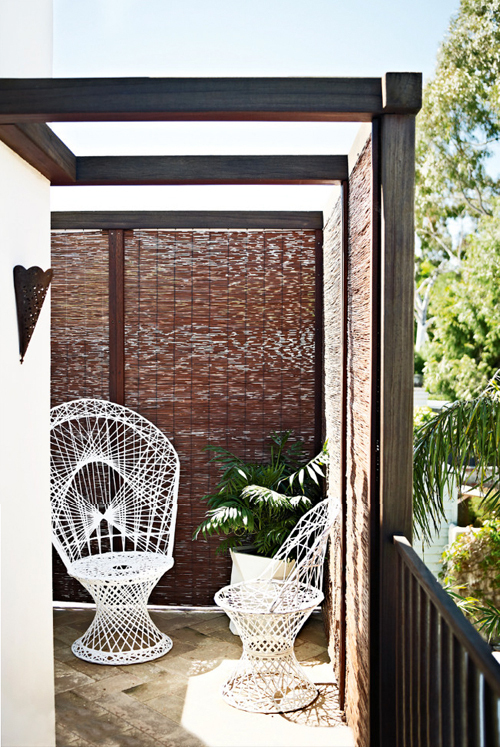 “With a neutral backdrop, you can try different things together and it still works,” he says. In the dining area, the arch may look like a doorway, but it is actually a cleverly placed mirror. 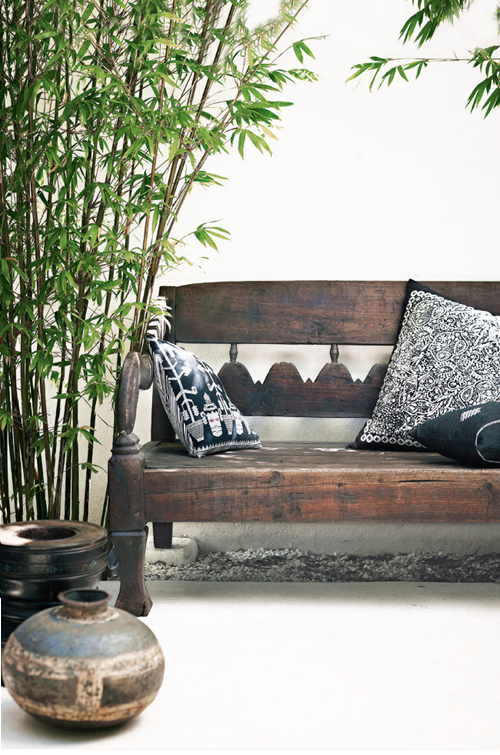 The elaborate portal from Rajasthan is hundreds of years old, yet it works beautifully with the PP Møbler ‘Flag Halyard’ chair from Cult, the ‘Meditation’ wooden chair from Vixen & Velvet and the Space sofa and rug. 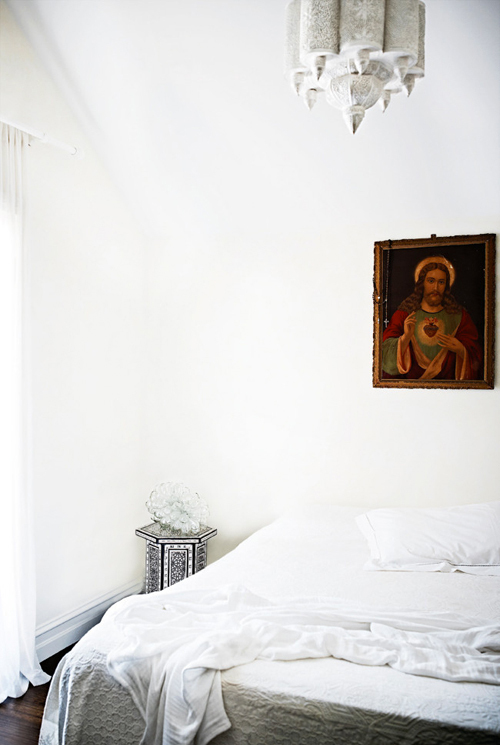 The master bedroom is rich with family history, thanks to the sacred heart of Jesus artwork and heirloom quilt from Giovanni’s grandmother. Adobe-inspired walls, ornate carving and timber beams from an old Sydney woolshed set the scene for this home. 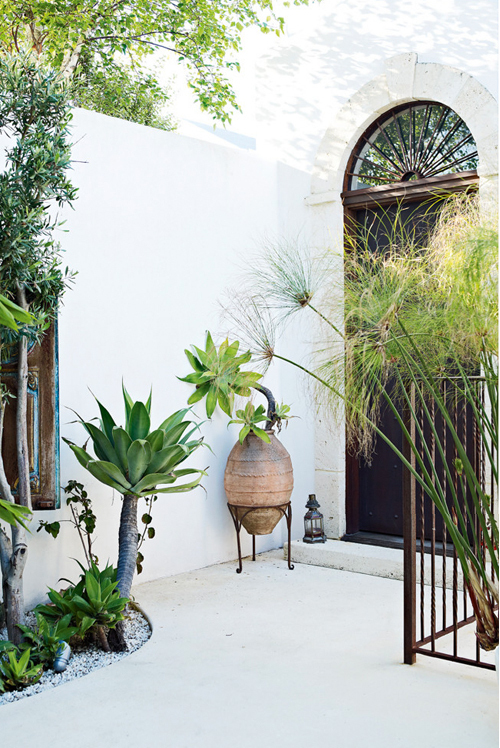 The Lumeah limestone courtyard floor adds an extra layer of texture outdoors. Love this house! 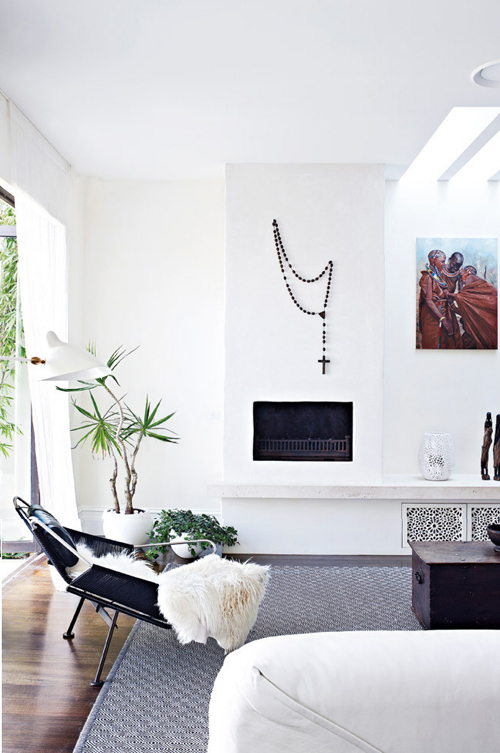 A beautiful modern home with a Moroccan influence. Just enough details to incorporate a style but maintain its contemporary feel. This is super super beautiful. Would move into this house immediately. 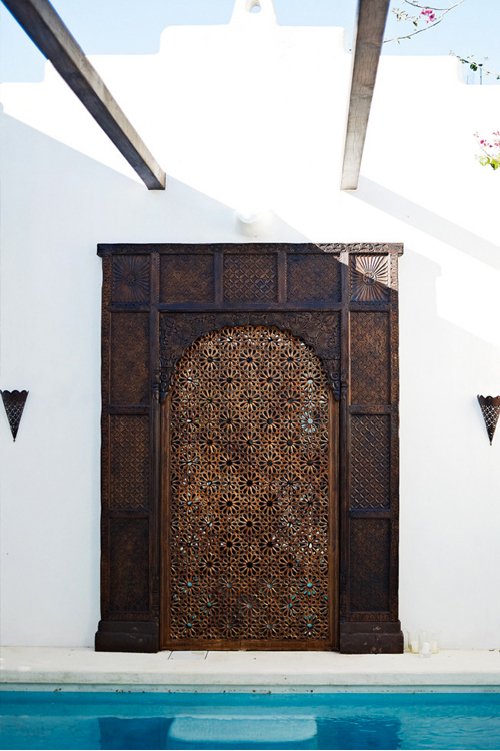 Normally I would have said that moroccan style does not go with modern Australia/Melbourne but this has been done so decently and beautifully that it would be a dream house nearly anywhere in this world!!! I am getting a message from Chrome that you have malware on you site. The message even popped up when I visited my own blog (I have a link to your blog there). I had to remove the link to your site to be able to visit my blog. I am not sure if it really is a problem. Maybe something to look into though.